To have but never too old! 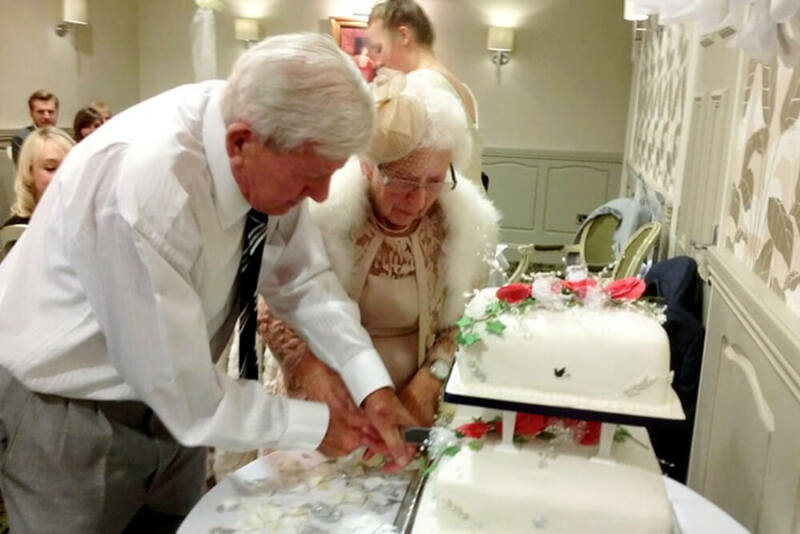 A devoted couple with a combined age of 186 have vowed 'til death do us part to become two of the world's oldest newlyweds. World War Two torpedo operator Bill Griffiths, 90, exchanged vows with 96-year-old former pub landlady Flo Marshallsay in a ceremony that was reported as far away as Australia and Japan. The evergreen pair were sat on the sofa drinking tea last month when he proposed after living together for the past decade in the West Midlands. More than 50 friends and family ensured St Hilda's Church in Smethwick was packed for the big day last Saturday to see Reverend Paul Hinton offer his blessing to "two people whose combined ages would make a very good cricket score". The hotel reception proved too much for the bride and groom, though, as they both fell asleep on a sofa before heading home early to feed their cat. Yet Flo described the day as "absolutely wonderful" and admitted to surprise at the attention the service had received. "The Reverend was mentioning all these countries and I didn't know what he was on about," she said. "Then I worked out they have all been saying we're the oldest people to get married." 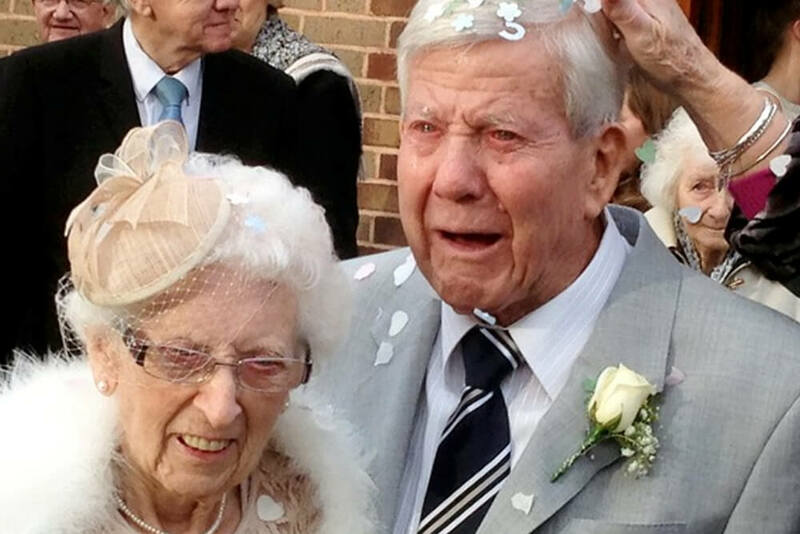 The lovestruck pair, who will honeymoon at Flo's daughter-in-law's house in Nottinghamshire, first met 20 years ago when Bill was a young man of 70 and Flo a sprightly 76. Flo, who overcame bowel cancer three years ago after undergoing surgery, met Bill while he was still married to his wife Joan at a local dance club in the 1990s. They became close after Bill lost his wife Joan to cancer aged 75 in 1997 and Flo started bringing him food and cooking his meals. I guess it's a bit odd for two old biddies like us to get married. Bill's a really loving and helpful man. He's still quite handsome too and doesn't have many wrinkles. You're never too old to get married. You're only as old as you feel and I don't feel old. Before a holiday in St Ives at the end of the year comes a bit of bureaucracy. "I suppose I've got to ring the pension people to change my name now," Flo said. Bill's son Peter, 63, offered his blessing to the couple, adding: "It proves it's never too late to live happily every after."